Now when I walked into the Ft. Necessity Great Meadow which George Washington called, "a charming field for an encounter", I thought the stockade it was pretty small to hold all of his men. I was right!! 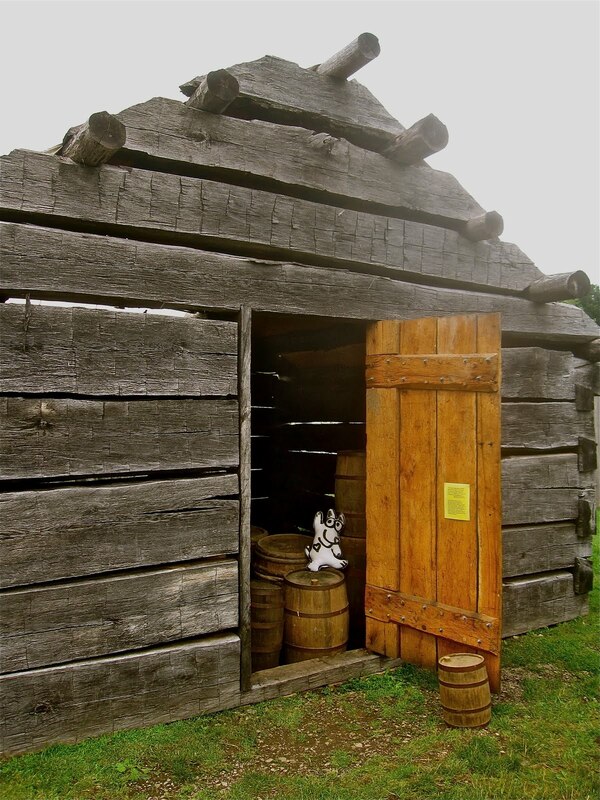 The stockade was built to hold the guns and ammo, and the whiskey. It was constructed to keep the men out, not in!! 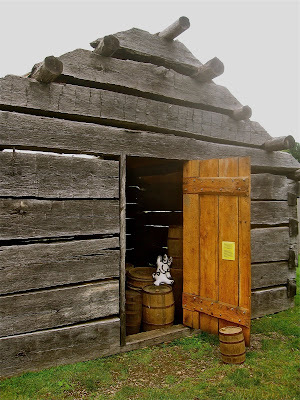 Washington's men were positioned behind the birm when the French and Indians attacked.